The owner of this fitness center in Leesburg was worried that he would have to replace the carpeting, because one of the workers, while performing maintenance on the weight machine equipment, had placed greasy gears on the carpeting. 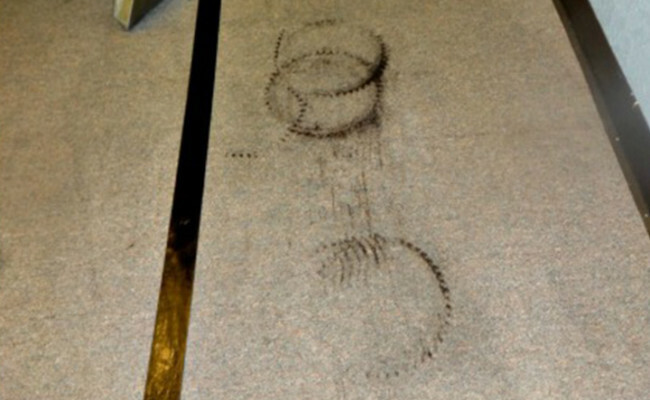 To make matters worse, customers walked over the grease spots, grinding the residue deep into the carpet fibers. At Residential Express, we have powerful, high-quality cleaning solutions and state-of-the-art equipment that can resolve many carpet problem areas. We were able to remove the spots completely. The owner was very pleased with result, and asked us to clean all the carpeting in the fitness center. 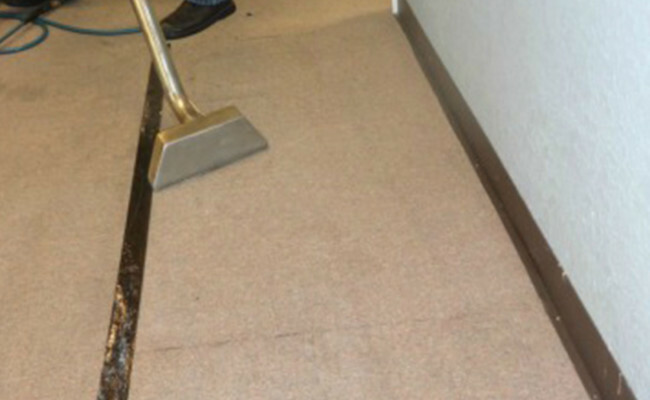 Whether your carpeting is spotted and dirty-looking or is clean, beautiful, and welcoming, the appearance of your business makes an impression on your customers. Residential Express can help you make a positive impression with professional tile and grout cleaning, grout color sealing, and carpet cleaning, including spot removal. Contact us online or call (407) 947-1416 today for a free estimate.